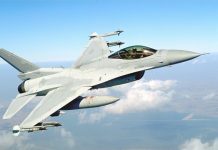 Following the crash of a lone United States Air Force (USAF) F-16 Fighting Falcon assigned to the 35th Fighter Wing off the northeast coast of Japan on 22 July, the Wing’s F-16s were ordered grounded for safety inspections. 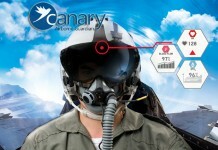 On 26 July, the grounding order was lifted after USAF leaders determined the aircraft were safe to resume operations following an intense maintenance and safety review. On 22 July, an F-16 crashed in the sea approximately 470 kilometers northeast of Japan’s northernmost island of Hokkaido. The aircraft was enroute from Japan to Alaska at the time of the incident while flying in formation with two other F-16s. The pilot ejected safely and was rescued by a Japanese civilian vessel, the F/V Hokko Maru, some six hours after the crash as the result of a joint Japanese/American search effort conducted by military naval vessels and civilian ships. The pilot has not yet been identified, but a Misawa spokesperson stated that the pilot is in stable condition after being transferred to a US treatment center, rumored to be in Alaska, and is expected to return to Misawa following treatment for minor injuries. This was the first crash of a Misawa-based F-16 since 2002. The 35th Fighter Wing is stationed at Misawa Air Force Base in Aomori Prefecture, Japan and is the parent command of the 13th and 14th Fighter Squadrons. 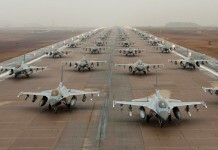 The 13th and 14th Fighter Squadrons are equipped with approximately 45 F-16CJ/DJ Block 50D/52D Fighting Falcons. 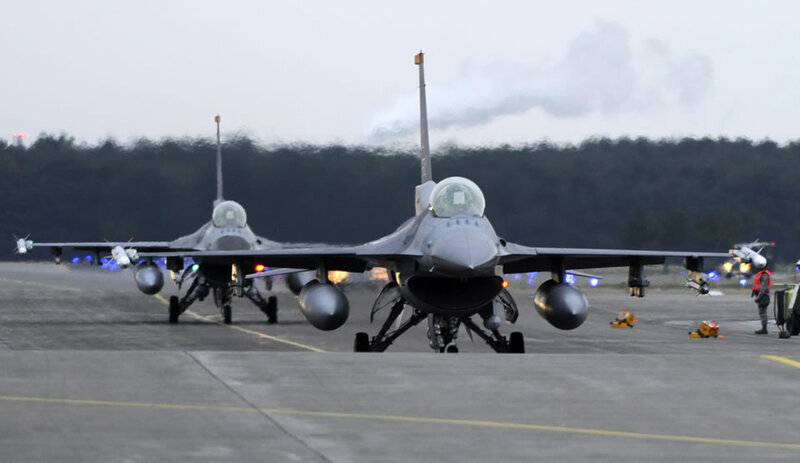 Colonel Van A. Wimmer Jr., Vice Commander of Misawa Base and the 35th Fighter Wing, ordered a “safety stand down” immediately after being notified of the F-16 crash. 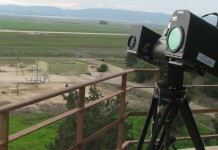 The grounding continued in effect until 26 July to allow ground crews and maintenance teams to conduct a detailed inspection of all the Wing’s F-16s. The inspection covered engines, flight controls, tires, brakes, fuel systems, ejection seats, and structural surfaces. Colonel Wimmer informed Misawa City Mayor Kazumasa Taneichi that the base would resume flight operations on 26 July, but would restrict flights over urban areas for the present time. 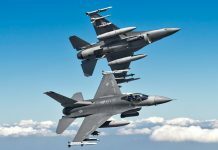 Colonel Wimmer and other staff officers assured the mayor that the F-16s were determined to be safe to fly following the five-day safety stand down. The mayor was also told that four aircraft, including the two flying with the F-16 that crashed, would be relocating to North America in the very near future. The cause of the F-16 mishap is currently under investigation and a final report is not expected for several weeks. Misawa Air Force Base is the only combined, joint service facility currently operating in the western Pacific and is home to units of the US Navy, US Marine Corps, USAF, and US Army as well as elements of the Japanese Self-Defense Forces (JSDF). The 35th Fighter Wing is part of the US Pacific Air Force’s (PACAF) Fifth Air Force. Misawa, being the northernmost US air facility in Japan, is located in a relatively remote area and is largely unknown to most Japanese. The base is subject to heavy snowfalls in the winter months, which serves to limit the frequency of military altercations with the local populace, and rarely draws any significant media attention. Misawa has an enviable rapport with the local community given that aircraft mishaps are rare, noise issues are almost unheard of, and military-related crimes are equally uncommon. The F-16 crash occurred at an especially inopportune time for US Forces Japan with opposition to the deployment of Marine Corps MV-22B Ospreys to Okinawa continuing unabated. Although dissension related to the Ospreys in and around Marine Corps Air Station (MCAS) Iwakuni in Yamaguchi Prefecture has evaporated, opposition in Okinawa continues to give the United States and Japanese Prime Minister Yoshihiko Noda cause for concern. The first twelve Ospreys were delivered to MCAS Iwakuni on 23 July for final assembly and testing prior to being shipped to Okinawa where they are scheduled to replace the aging CH-46E Sea Knight helicopters currently in service. Okinawa has long been the center of Japanese opposition to the American military presence on the island. Approximately half of the US forces in Japan are stationed in Okinawa, a situation that has been a matter of passionate dispute for several years and the deployment of the Ospreys has added to the intensity of the opposition. The safety of the MV-22B and the government’s failure to relocate the air facility at MCAS Futenma are at the heart of the Okinawa protests and of considerable concern to local community leaders. Japanese and US officials held their first joint meeting on 26 July in Tokyo to begin developing a plan of action to provide Japanese leaders with documentary evidence attesting to the Osprey’s operational safety record and to assure the Japanese public that the tiltrotor aircraft can be safely flown in Japan.